Multiple cold fronts will pass through the Midwest this weekend leading to bitter cold early next week. The first front will pave the way for an area of low pressure to spin up and dump near a foot of snow in the Ohio River Valley. 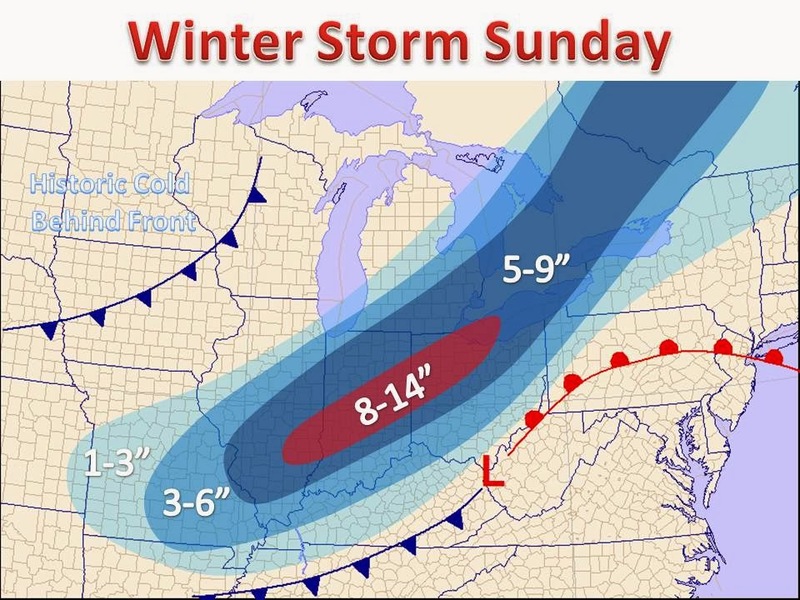 It looks to be a longer duration event with a light and fluffy snow falling throughout much of the day on Sunday. The exact location of the heaviest band of snow is somewhat in question, but this storm should lay down a pretty wide area of 5-10" from Illinois to Ohio. After this storm goes through, another cold front will follow and create extreme cold! Post coming soon.